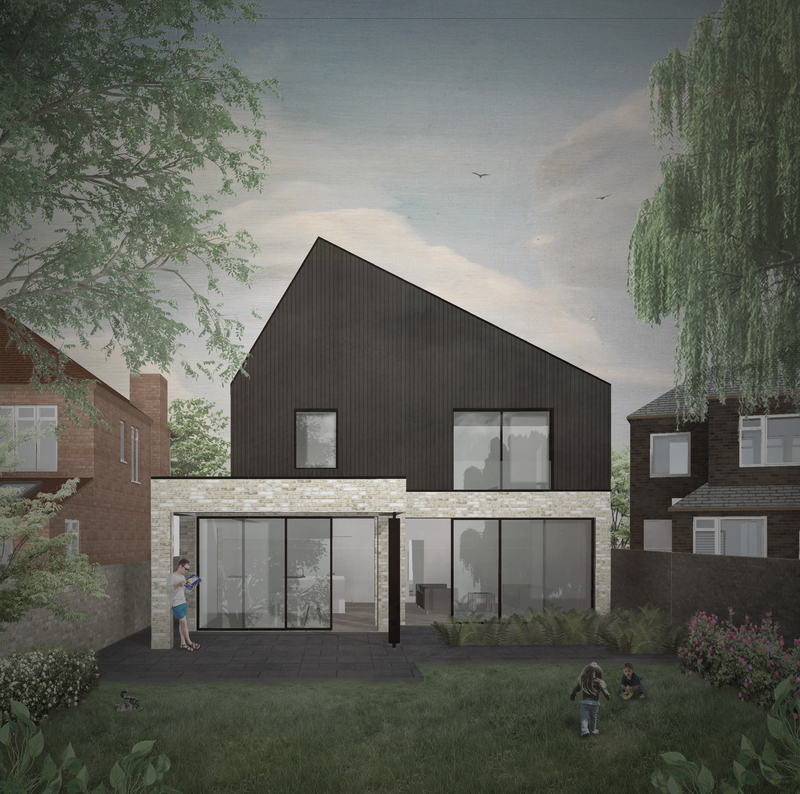 ‘Missing House’ is a new build dwelling on a corner plot that was left vacant when the street was originally developed. 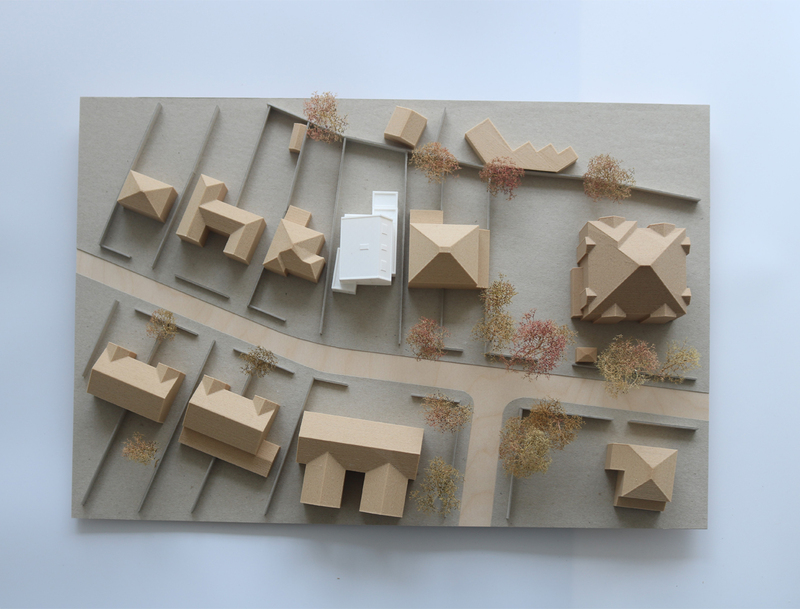 Our proposal explores how a distinctive, contemporary design can fit into a typical suburban street scape. 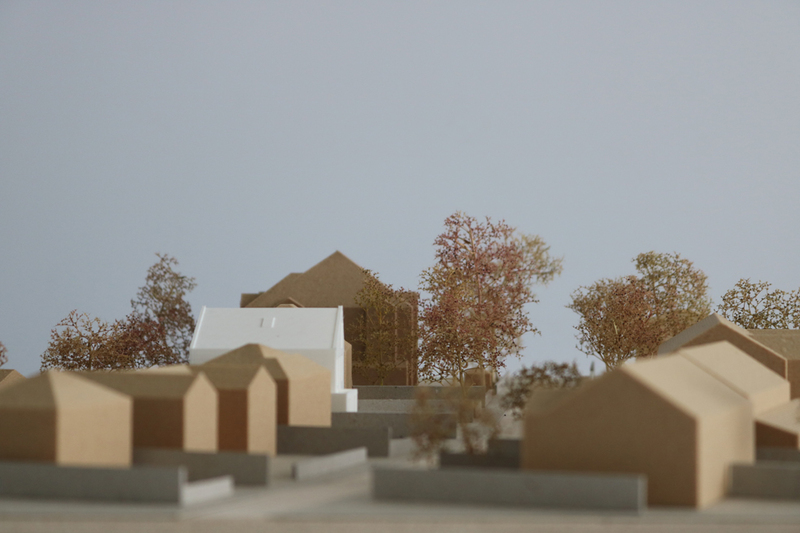 Whilst intentionally different to it’s neighbours, the house uses scale, massing and materiality to reflect the local character. 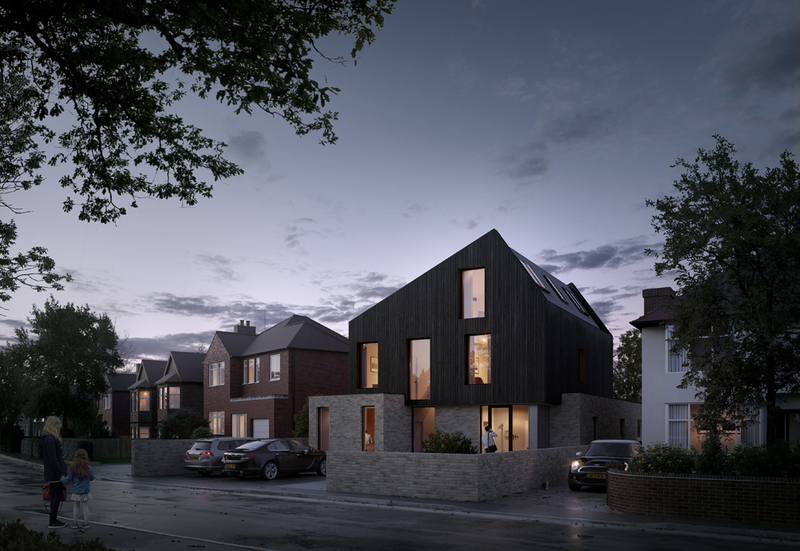 For this private new build the brief was to create an innovative, bespoke and contemporary design which addressed the clients needs, responded positively to the setting and yet challenged perceptions of what a two storey dwelling within an urban setting can be. 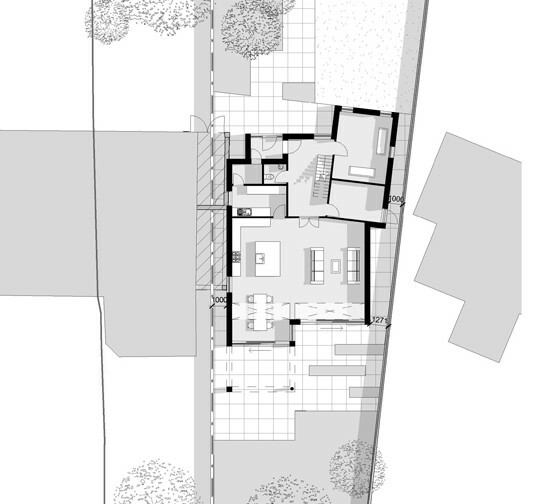 Addressing a tricky corner site, the house pivots between ground and upper floors to address the curve of the street. 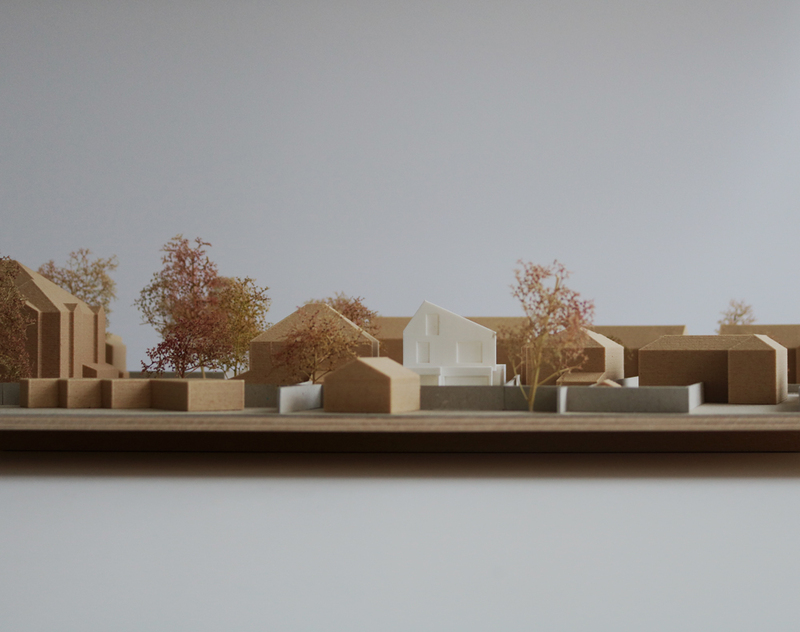 This is further accentuated by changed in material between floors. 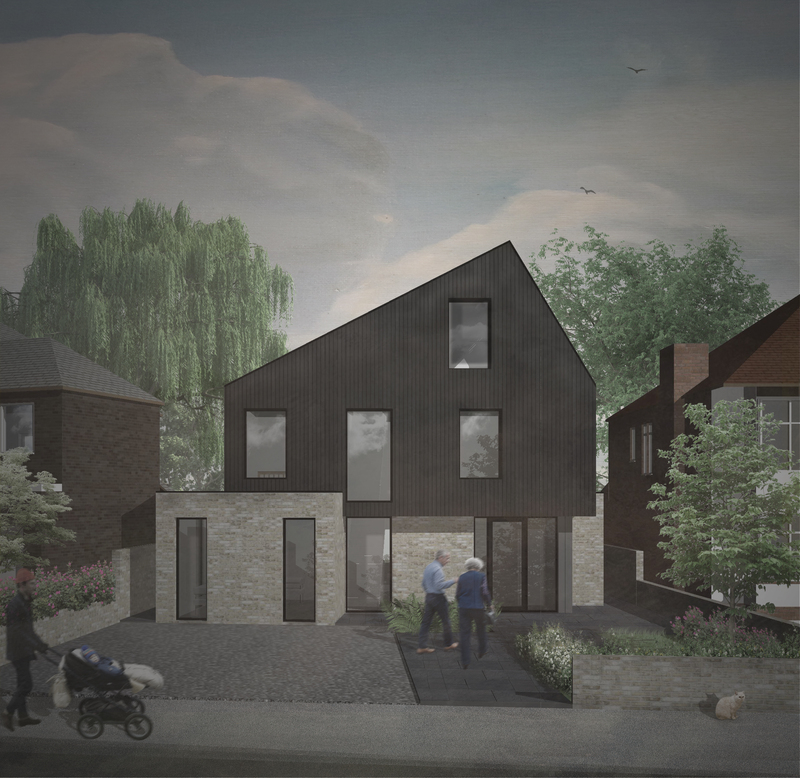 The base of the house is clad in buff brick, which is a nod to the soft brickwork of the locality, whilst the upper levels are clad in black stained timber to give the building a strong architectural identity.